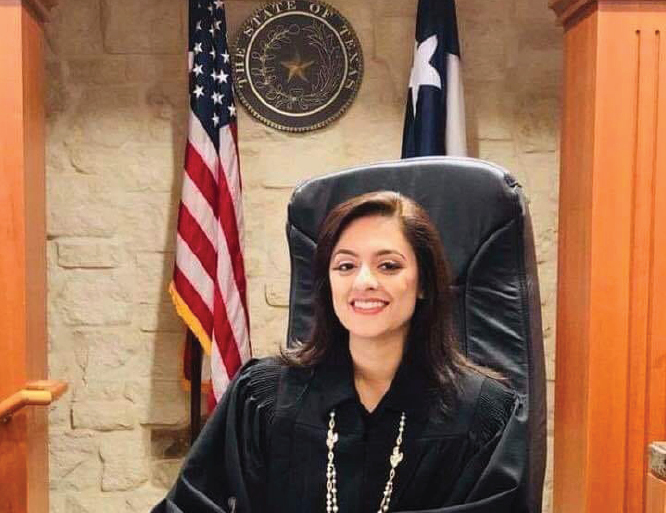 HUSTON: A Pakistani Muslim American woman became a judge in the 113th district in Houston, Texas. Judge Rabeea Collier presided he courtroom of the 113th District, Houston. She’s a Pakistani Muslim American. Rabeea Collier has practiced law for more than 12 years. She is a Democrats and has been a board member of the Harris County Democratic Lawyers’ Association and Association of Women Attorneys. Married to an attorney, Robert Collier, Rabeea has two sons. The couple lives in North Houston. Rabeea Collier believes that judicial integrity is the necessary requirement to uphold the sanctity of our laws. As judge, she will demand that the law is followed in each case and judged on the merits of the case free from bias and prejudice. As a native Houstonian and a proud Democrat, Rabeea Collier seeks to become your Judge of the 113th Civil District Court of Harris County. For more than a decade, Rabeea has been zealously representing individuals, non-profits, and small to publicly traded businesses in courthouses across Harris County. She specializes in litigation, including commercial litigation, general contractual matters, consumer law, civil rights and deceptive trade practices. She has handled approximately 250 matters, including appeals, in both state and federal court in various jurisdictions. For eight consecutive years, Rabeea had been awarded by Super Lawyers the Rising Star Award. She has served as a board member of the Harris County Democratic Lawyers' Association and Association of Women Attorneys. Rabeea has also served on the Women in the Profession Committee of the State Bar of Texas. She has previously served as a co-chair of the Solo Practitioners Section of the Houston Young Lawyers Association. She is also a member of the Houston Branch of the National Association for the Advancement of Colored People (NAACP). She is a graduate of Kingwood High School in Houston, Texas. She earned a Bachelor of Arts degree in Government from the University of Texas at Austin. She earned a Juris Doctor degree from Texas Southern University, Thurgood Marshall School of Law in Houston, Texas. Long before Rabeea decided to run for judge, she worked on grassroots efforts and supported other national and local Democratic candidates. She has served as Precinct Chair, Senate District 4 Precinct Delegation Chair, Senate District 4 Credentials Committee Member, Senate District 4 Convention Parliamentarian, Senate District 4 Convention Nominations Committee Chair, Senate District 4 Convention Delegation Chair, and as a Texas Democratic Party Neighborhood Volunteer. She has fundraised or donated to national and local Democratic candidates and clubs. Rabeea is married to Robert Collier, an attorney. They have two sons and live in North Houston.